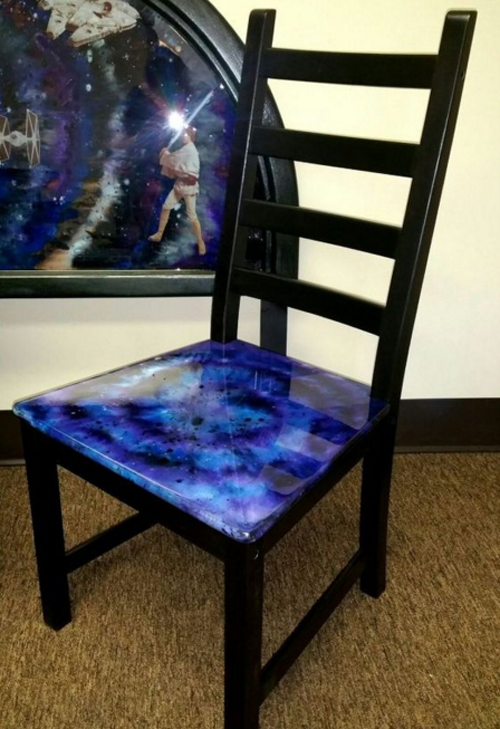 There are a lot of great DIY projects out there, but there may not be many that utilize plastic wrap and water to paint basic furniture, turning it into a galaxy that seems like it would cost a ton of money. 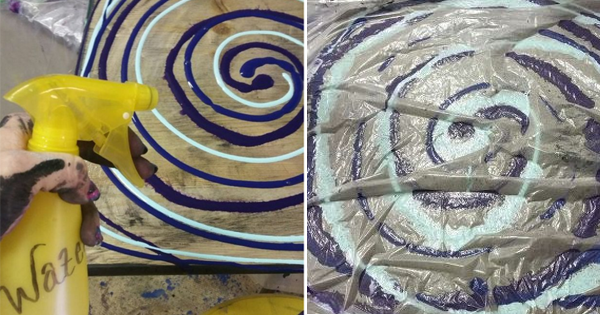 Michelle Nicole used these two simple tools on some basic IKEA and Goodwill furniture in order to create to coolest effect! 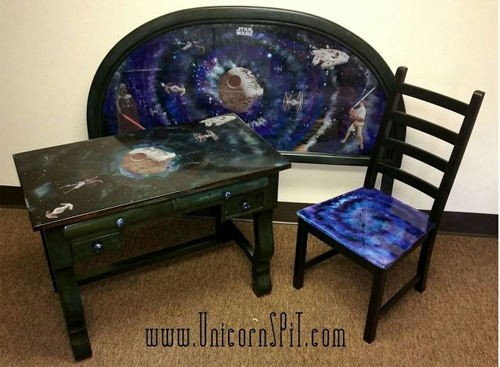 While working on a budget, Michelle managed to still create the most amazing intergalactic furniture simply using a painting technique. The end result only cost $250! She began collecting random furniture in advance to save for the project. 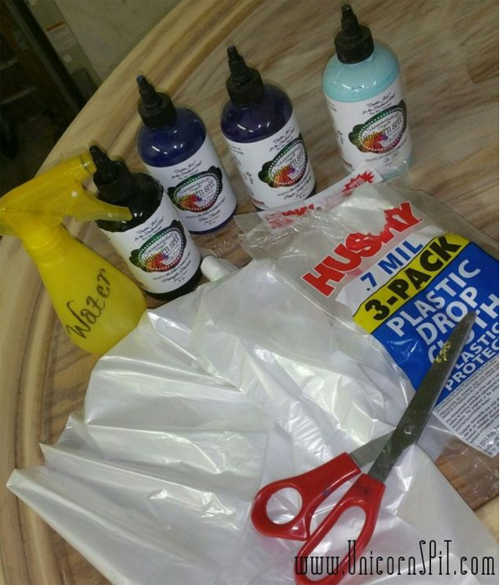 Michelle also had to collect supplies including Unicorn SPiT, a special type of paint, as well as water and a plastic drop cloth. 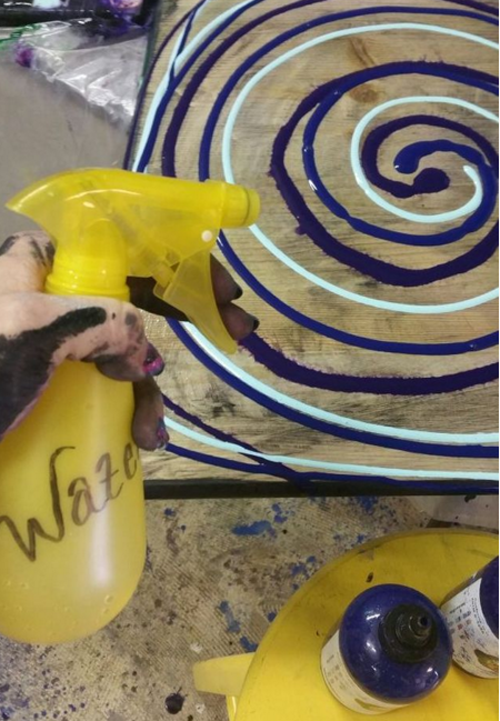 She started by flipping over the seat of a chair to the bare wood, non-coated side and threw down the paint in a spiral directly onto the wood before lighting misting the paint with water. If this seems odd, it only gets weirder! 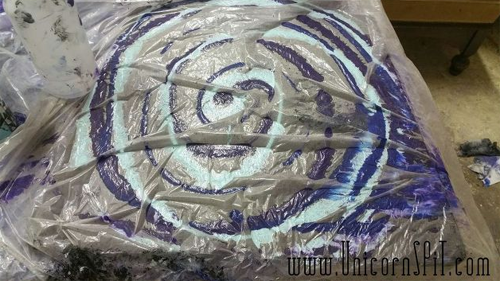 After adding water, Michelle placed the plastic drop cloth onto the wet paint. She used the water bottle again to stray the surface of the plastic. That way, she could slide her hand smoothly across the top surface. 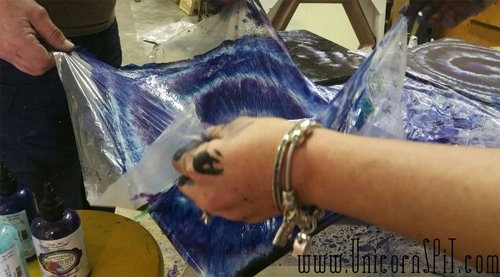 Lastly, she removed the plastic and used her fingers to flick a little more black paint across the tie dye pattern before misting it one last time. 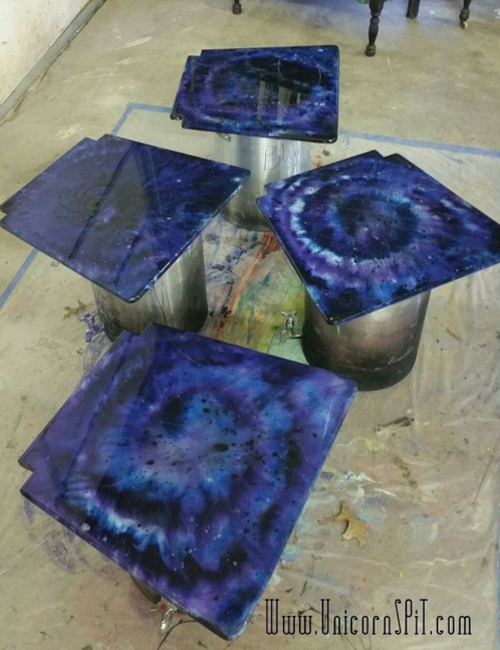 She repeated the process on all the furniture she had stored up, let it all dry, and sealed them with a glaze coat. 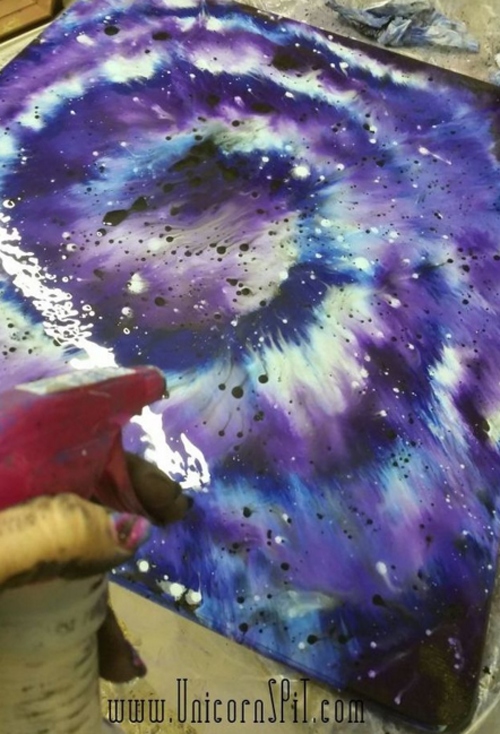 The final result is much more amazing than you could imagine! Learn more details from this project here.